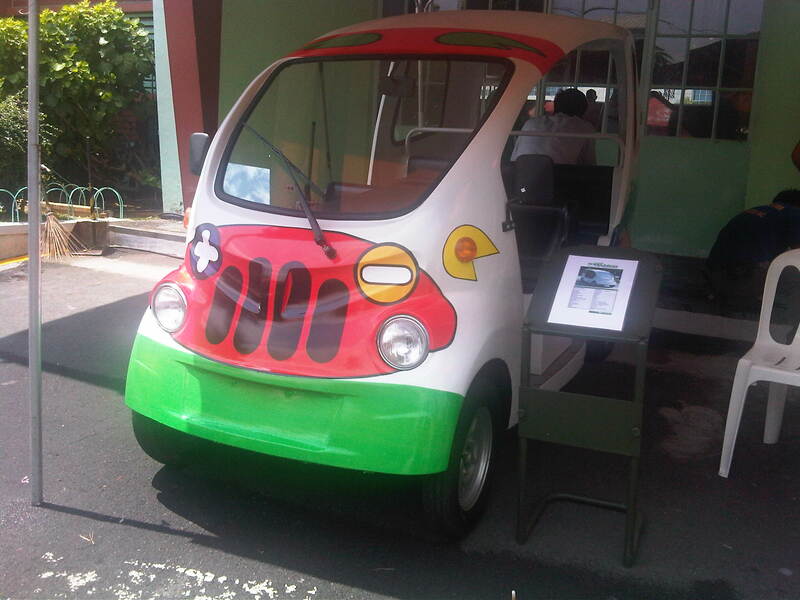 It started with the deployment of the first electric jeepneys and tricycles about 5 years ago. Today, electric vehicles are the rage in the Philippines with public transport being the main application of the e-vehicles. 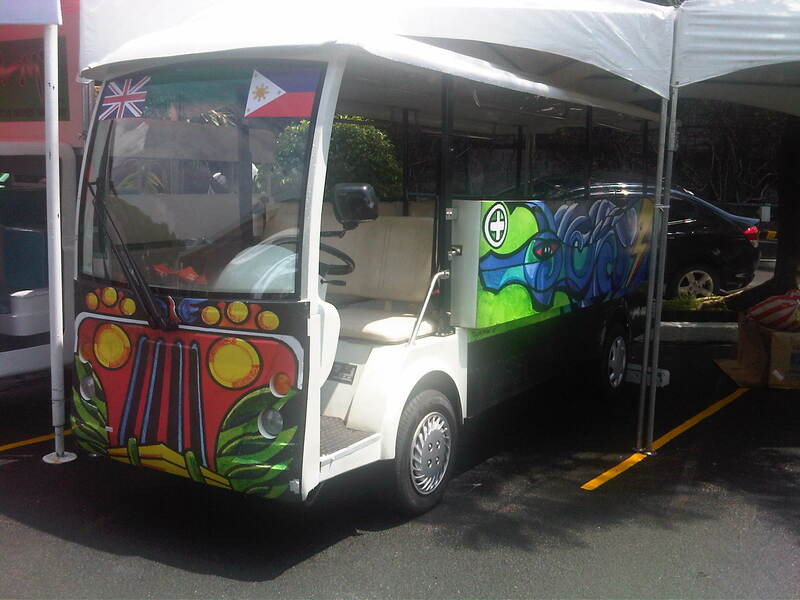 Makati already has 3 operational e-jeepney routes including the first e-vehicles to be registered and the first franchise for public transport. 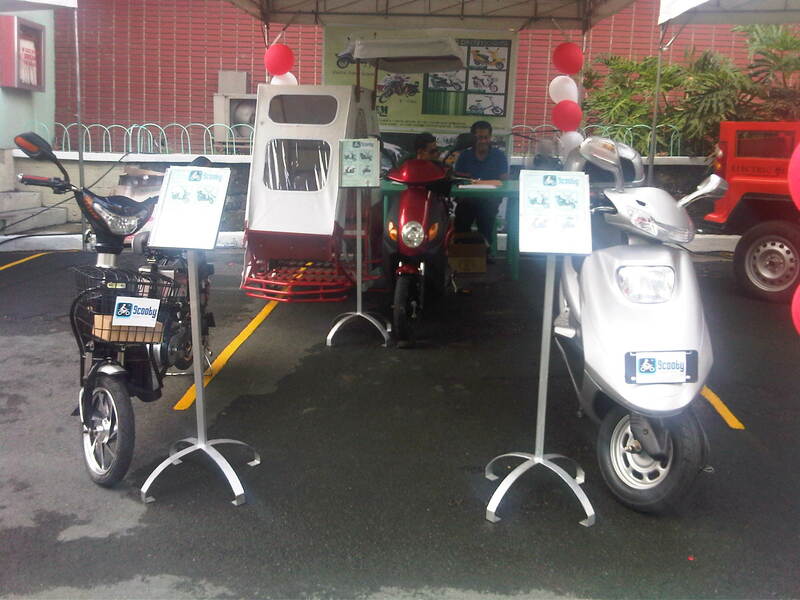 E-trikes have been operating in Bonifacio Global City in Taguig as well as in limited numbers in Puerto Princesa, Surigao and Boracay. 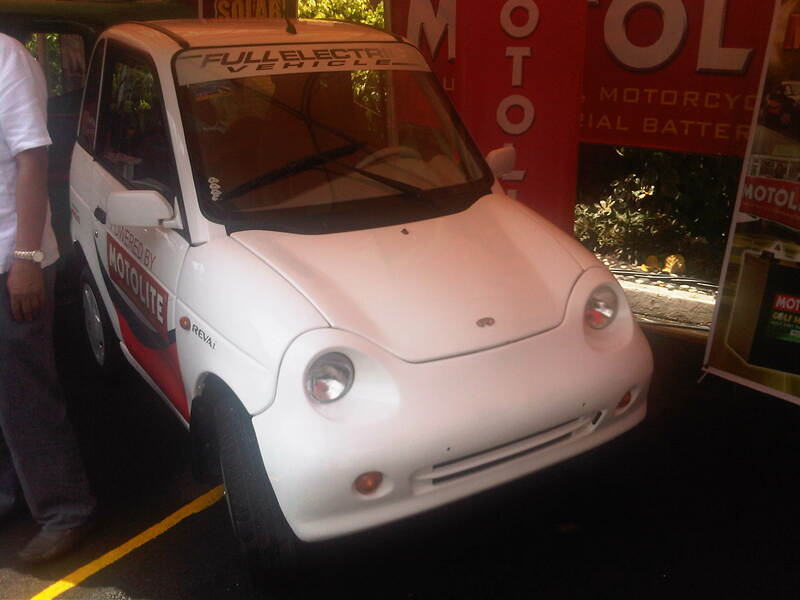 During the 2nd Electric Vehicle Summit held last May 24-25, 2012 at the Meralco grounds, models of various electric vehicles for private and public transport use were on display for people to inspect and appreciate. These included cars, motorcycles, tricycles, jeepneys and a bus. Special mention goes to the Segway booth and its clone, which featured more personalized modes that are not really in the same category as most of the e-vehicles on display. The REVAi is a small car produced by an Indian company. 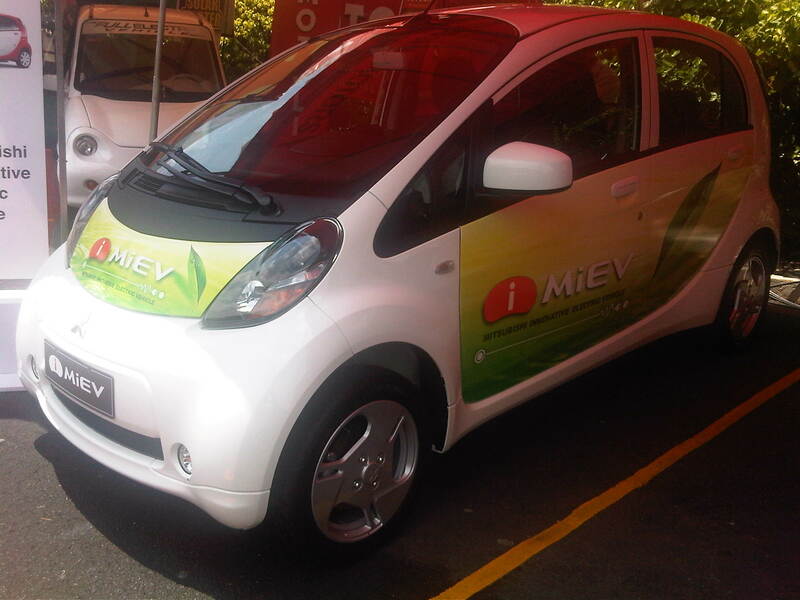 The logo on the car is of the leading battery company in the country. 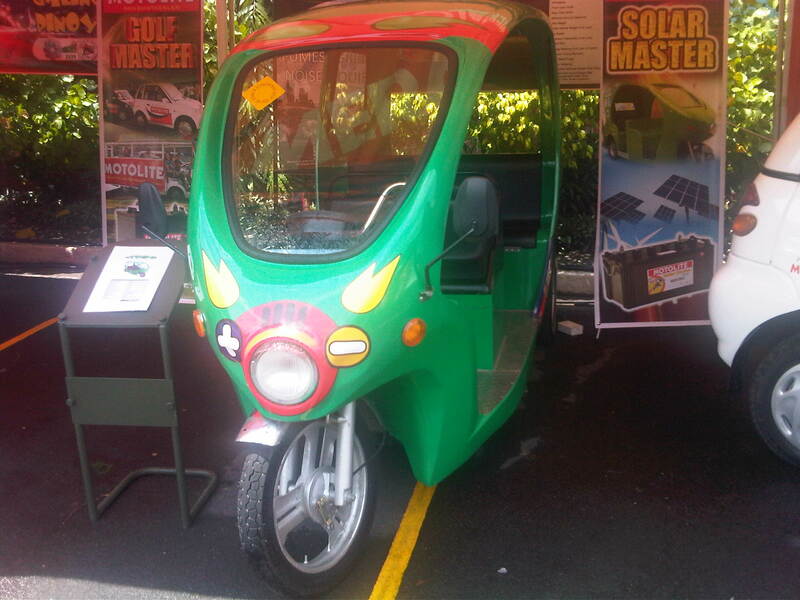 A locally assembled electric tricycle that is now popular in tourist areas like resorts. 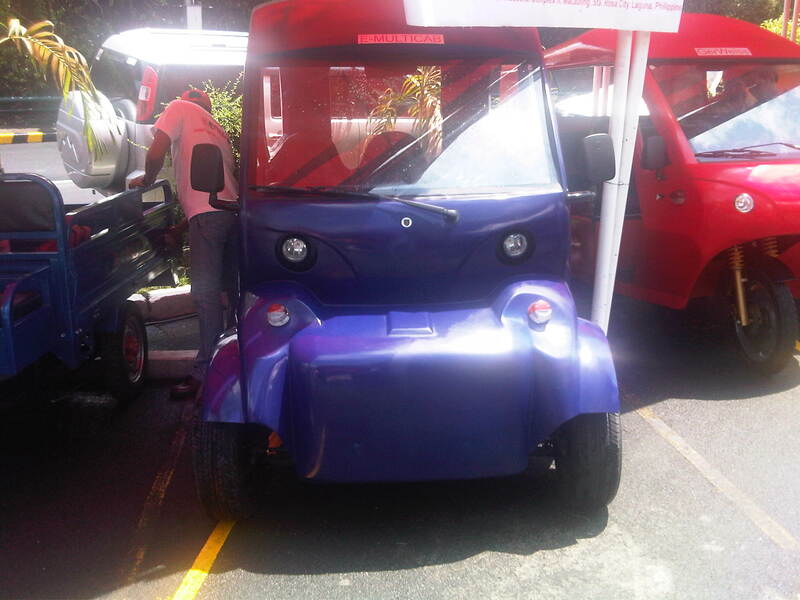 The 4-wheeled e-vehicle dubbed as the E-quad that is locally assembled. Variants of 3- and 4-wheeled e-vehicles including one (visible on the left) that is designed as a pick-up or delivery vehicle. All are made by local companies. 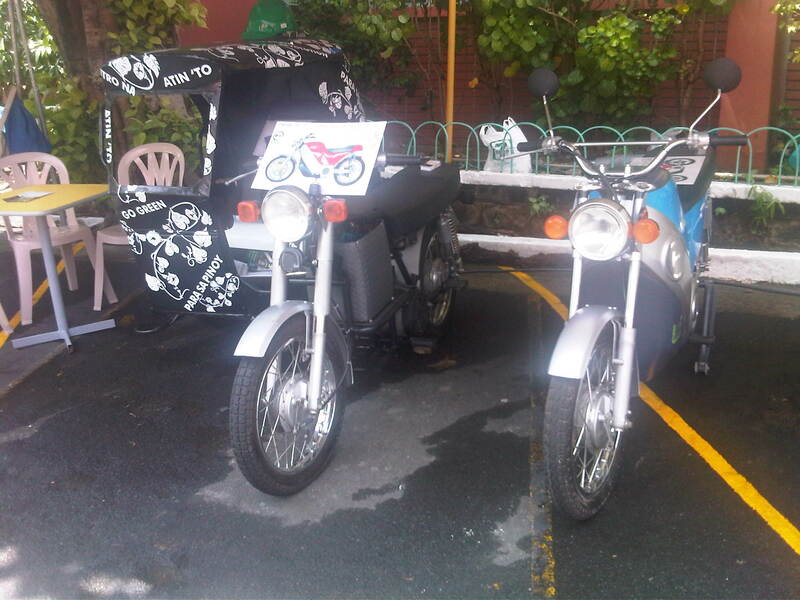 Electric motorcycles with one having a sidecar, which is the same form of the traditional tricycles that are the dominant public transport mode in local roads, many small cities and rural areas in the country. The electric jeepney that is also locally assembled with the motor and controller the only major components that are imported. I think this model is the latest one and has a more powerful motor that allows the vehicle to negotiate steeper slopes. Other models are currently operating in Makati City (CBD) and as shuttles in shopping mall complexes and industrial areas. Another e-trike with form similar to the Thai tuktuks and another, a 4-wheeler, made to look like the popular Hummer vehicles. 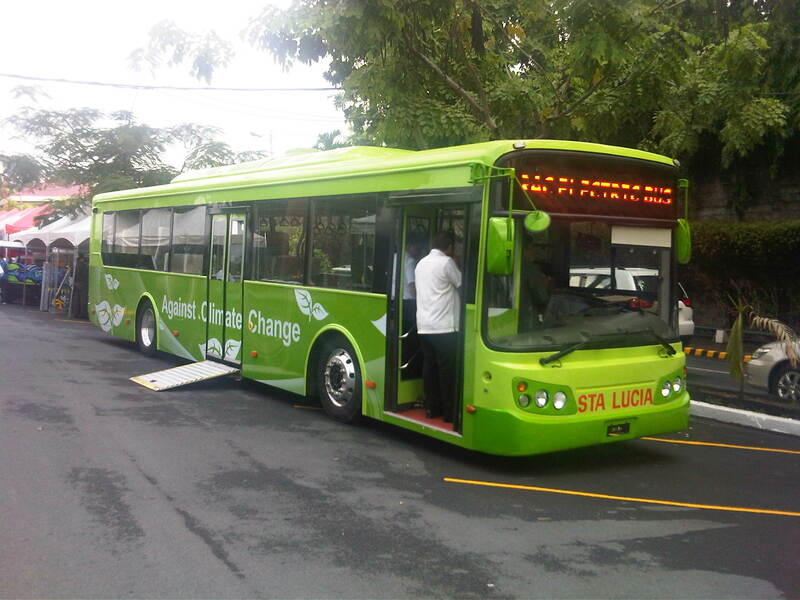 The electric bus imported by a company affiliated with Victory Liner, one of the largest provincial bus companies in the Philippines was a popular attraction during the summit. There are still many issues pertaining to the deployment or operations of e-vehicles in the Philippines. Among the more important ones involve costs and the need for infrastructure such as charging stations to support e-vehicles. Unlike the experiences in other countries, especially in Europe, the e-vehicle initiatives in the Philippines are mainly for public transport rather than for private use. 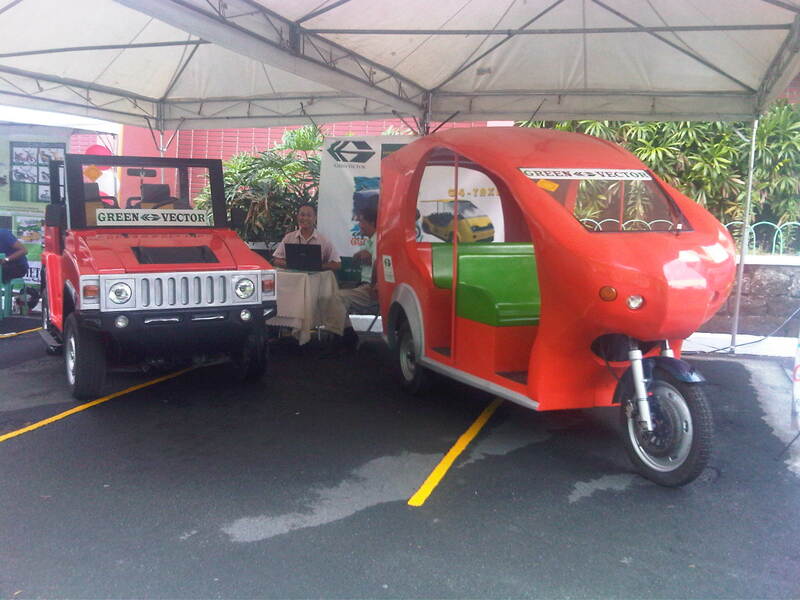 In fact, the DOE’s E-trike project together with the ADB looks to the deployment of 100,000 e-trikes to replace traditional tricycles around the country. This seems to be a small initiative considering Metro Manila alone has about 250,000 legally operating tricycles (there are quite many illegally operating units) and an estimated more than 1.5 million legal units around the country. But such initiatives if carried out and evaluated scientifically, systematically and objectively will surely go a long way to addressing transport problems in this country. The Makati e-jeepneys already provide a good model for replication elsewhere and soon, more studies will be underway to evaluate such vehicles in comparison with the traditional jeepneys and the emerging Auto-LPG variant. With an impending law that will provide incentives for electric, hybrid and other alternative-powered vehicles, e-vehicles will be here to stay and perhaps effect a transformation of Philippine transport. By d0ctrine in Bus, Electric Vehicles, EST, Jeepney, Paratransit, Public Transport, Transport Planning on May 30, 2012 .